The Deco Dining Table is an original design by Joann Westwater. 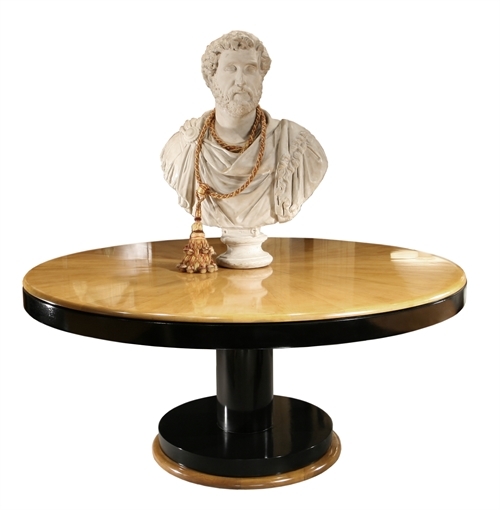 The table has a standard honey colored maple top and foot and an ebonized mahogany pedestal. 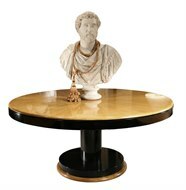 The top has a sunburst pattern and the polished, gloss finish is soft and elegant. Custom sizes, finishes and timbers are available as needed.